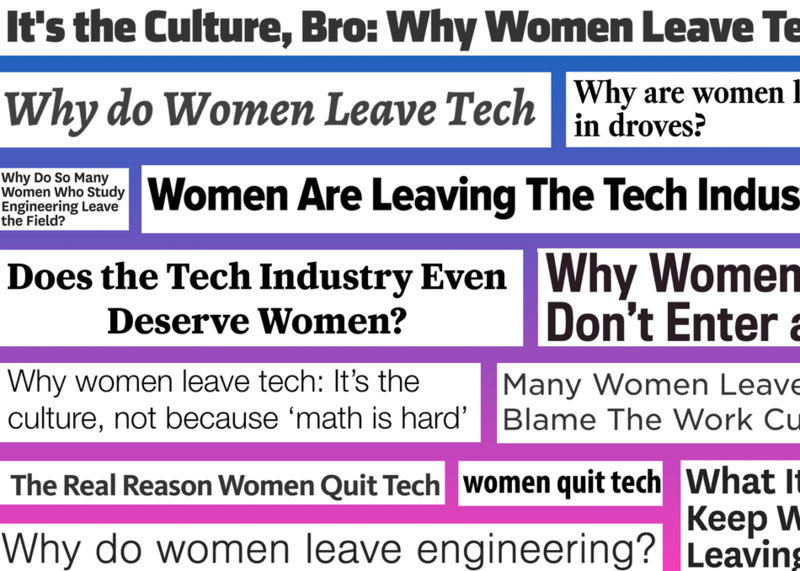 Today, women in tech walk away from dream jobs in droves—and thousands of female employees around the world do exit interviews with employers about why they leave. The driving force behind their decision to move on is culture— team culture, organizational culture and company culture. Culture is a slippery word. It's hard to nurture and evolve. Culture means being thoughtful about our behavior over time. It can't be dictated, but instead emerges. Think about your work life. What do people value? What rituals are being practiced day to day? Who are your heroes? What symbols keep appearing? Transform these questions into possible futures. Help your business keep female tech talent thriving.